Players and club officials are likely to be forbidden from gambling on any football-related betting markets next season after the Football Association voted to support a comprehensive ban. Current rules prevent players from gambling on competitions in which their club have featured in a given season. But the FA now wants to ban players, managers and coaches from betting on any game anywhere in the world. The changes are subject to the approval of FA shareholders at their AGM in May. Under the FA Council's proposals, wagers on matters such as the next manager at a given club or whether a certain player will be transferred will also be outlawed. The FA wants to adopt the measure in a bid to provide greater clarity over what players and club officials can and cannot bet on, and will apply down to the eighth tier of the English game. The governing body consulted with the Premier League, Football League, Professional Footballers' Association, League Managers' Association and Football Conference. Darren Bailey, the FA's director of football governance and regulation, said: "The FA constantly evaluates its rules and regulations to ensure that they meet the needs of the modern game. Tranmere have sacked manager Ronnie Moore after he admitted breaking the Football Association's betting rules. "The proposed betting rule adjustment to encompass all aspects of world football provides a simple and straightforward message to all participants on where the line is drawn. "In addition to the monitoring of betting markets throughout the world, education remains a key part of our work." A number of players and officials have been penalised recently after breaching existing regulations. The latest case involves Ronnie Moore, who was dismissed as manager of Tranmere Rovers on Wednesday after admitting multiple breaches of FA gambling rules. Other high-profile incidents include Tottenham winger Andros Townsend, who last year was fined £18,000 and served a month's suspension. Stoke City striker Cameron Jerome, now on loan at Crystal Palace, and Newcastle United midfielder Dan Gosling have also both been sanctioned in the past 12 months. 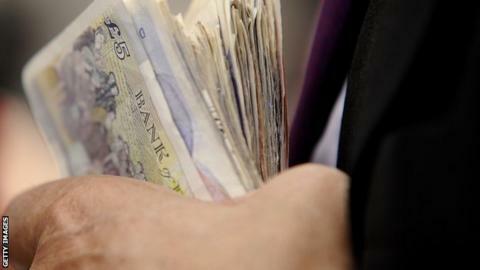 The issue of gambling addiction and unsustainable losses accrued by players has also prompted the FA to act.